The Lake Arrowhead-close lark rocks a different theme each week. ROLLER SKATING, which is ruling the warm-weather Saturday nights at SkyPark at Santa's Village. 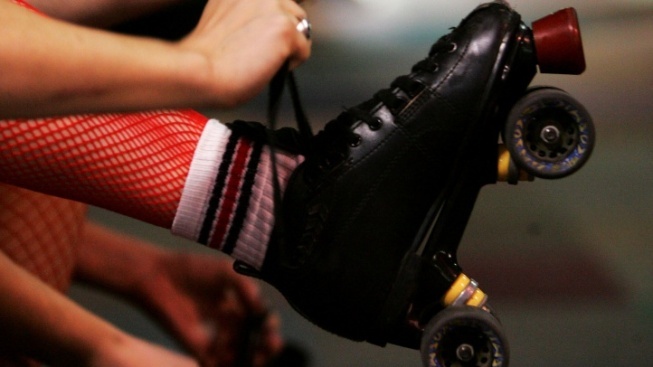 So ruling, in fact, that every Saturday Skate Night has its own theme, and those who want to go for an award are invited to show in a costume that best suits the theme's particular vibe. Coming up? Saturday, Sept. 8 focuses on the 80's Mixtape flow. Following that, on Saturday, Sept. 15? The '90s, natch. There are more on the October calendar, too, should you find yourself doing a fall color drive around the mountains and looking for a spot to stretch a leg (and by "stretch a leg," we mean roll at the alfresco rink). More info? You got it: It's all hokey-pokey-ing right here.